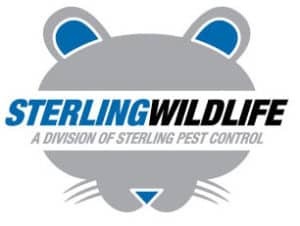 Sterling Wildlife provides expert bee removal Orlando services to residential, commercial, and industrial properties in Central Florida and surrounding areas. Bees and wasps are usually of the highest concern for Florida homeowners. The dangers associated with nuisance bees and wasps make them a priority when discovered. Wasps build their nests on the outside of homes, in attics, on bushes, trees, sheds, playscapes and even in the ground. 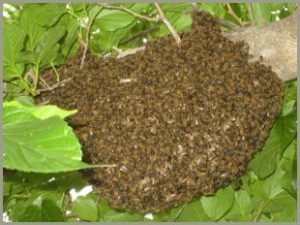 Bees can build large hives in the exterior wall of homes, in attics and trees and usually require the hive to be removed to gain control. The climate in Central Florida is very favorable for their populations to thrive and remain active through most of the year. Treatment of these nests is usually recommended to be done by a professional due to the dangers of disturbing them. 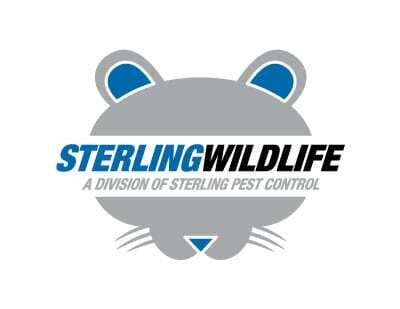 A Sterling Wildlife bee removal inspector can evaluate the type of stinging insects around the home and yard. Due to the variety of bees and wasps, it may require bringing a sample back to our facility to be identified. This will allow us to design a treatment strategy for the home and yard. 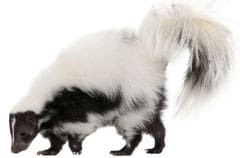 A trained specialist will perform the initial treatment with a variety of materials and the proper protective equipment to eliminate, and remove if necessary, all of the nests. A maintenance program will allow frequent treatments of new wasp nests that are starting up, thus providing constant coverage. 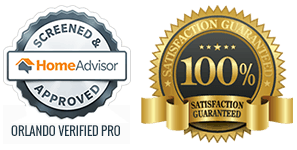 If you have or suspect you may have a Bee Removal Orlando problem please contact; Sterling Wildlife™ at 321-972-8268 to speak with a bee and wasp removal services expert.